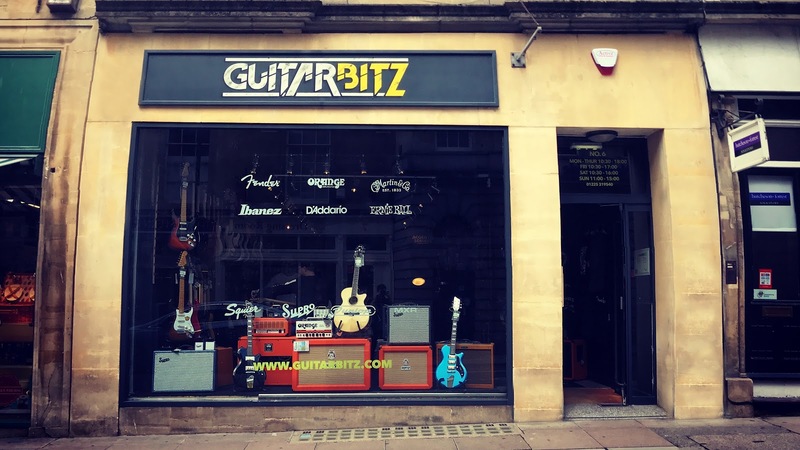 Guitarbitz has moved to the city of Bath with a new look and an even bigger shop! Find us at No.6 Quiet Street, BA1 2JS, just off of the high street. Our new shop has a great selection of Fenders, Supro, Ibanez, Vintage, Squier and Danelectro electric guitars for you to come and try out through a number of Orange, Fender and Supro amplifiers. We also have a huge range of strings and other accessories with one of the biggest string walls in the UK. Our friendly team are here to help you find the perfect guitar, amp, new set of strings or even to offer advice and have a chat. Downstairs we have an acoustic lounge which is the perfect space for you to come and try out our wide choice of Acoustics and Ukuleles in a quiet and relaxing setting. We currently have a choice of Fender, Sigma and Vintage acoustics, as well as Ukuleles. No your eyes aren't deceiving you, that really is a pink velvet sofa! 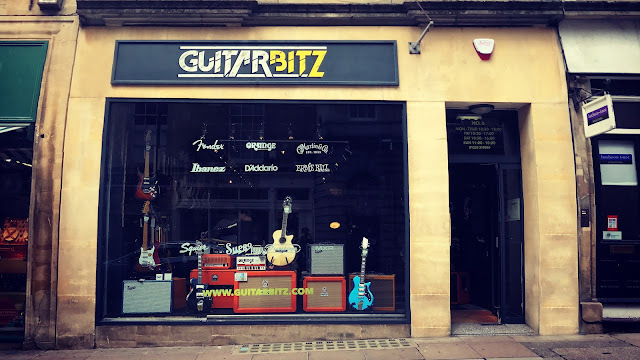 Although we have now completely moved from Frome, we are still only a 30 minute drive away and offer free delivery to the whole of the UK should you need anything guitar related, so don't hesitate to checkout www.guitarbitz.com. We are regularly posting updates of new guitars and videos of local musicians jamming that come into the store, so make sure to follow our Instagram and to like us on Facebook to keep up to date. Thank you to everyone who has already been in to see us in the new store and purchased from us in our opening week, it's been an amazing warm welcome to Bath and we hope that with your continued support we can bring in even more brands and a variety of products to cater for even more musicians. We have even more products and brands coming in over the coming months, so make sure you pop in to say hi to the team and checkout the new store. We look forward to seeing you very soon!